Campbeltown, the whiskymaking region on the Mull of Kintyre peninsula, is now practically synonymous with the Springbank distillery. For a region that once boasted 30 distilleries to be reduced to three is a shame, and is evidence of the ebbs and flows of fortune that the whisky industry is subject to. Really, even well-stocked whisky shops these days carry only Springbank, Longrow, and Hazelburn (which are both also made at Springbank), so it might surprise some newbies to learn that Campbeltown is also home to the Glengyle distillery (Kilkerran) and the Glen Scotia distillery. Early in my whisky journey I remember tasting (but not reviewing) a Glen Scotia 10 or 12 year and being so thoroughly unimpressed that I didn’t even write any notes. Probably at the time I thought “this might be better with some age on it” and passed it by. So, finding a sample of Glen Scotia 15 at Master of Malt (which no longer ships to the US, curse them), I thought it high time to give this Campbeltown revenant some representation on the blog. Also, I’ve rarely had a 15 year-old scotch that didn’t agree with me. What could go wrong? Glen Scotia makes a small amount of heavily-peated malt, but most of its products are very lightly peated at around 15 ppm. This 15 year-old is aged in ex-bourbon casks, and bottled at 46% ABV without chill filtration (but possibly with added coloring). The Glen Scotia product line was revamped and relaunched in 2015. Nose: Slightly meaty, with a dose of beeswax, fungal earth, and very faint peat (not smoke). Some sulfur, but not to the “rotten eggs” degree. There is a note of lemon peel, but it is in the background. Not sweet. Palate: Thin body. Beeswax again. After a mild tongue burn, it becomes nutty (nougat and/or marzipan) and a little bitter (walnut skins). Like the aroma, there is a distinct lack of sweetness. Finish: Medium-short. Dry, a little woody. More charcoal, and bitter at that, than I like. Fades with only a hint of sweetness, in the form of caramel. With Water: The addition of a few drops of water brings a little sweetness in the form of ripe banana and vanilla cake frosting. Water is a pleasant addition with this dram. Overall: This is not something I would choose over any comparably-priced malt. It is too dry without having complexity to justify the lack of sweetness. There is nothing floral about it, and precious little fruit. The 15 years in oak have lent a bit of mature woodiness, but also appear to have added a bit too much bitterness and charcoal. The earthy mild peat on the nose is interesting, but doesn’t warrant the purchase of a bottle, especially not if you can get a good price on Springbank 10. Glen Scotia is one of the few (Springbank, Glengyle) remaining Campbeltown distilleries in the Mull of Kintyre. Like Springbank, it uses the town water supply of Crosshill Loch, and also has a private well from a borehole drilled deep into the rock beneath the town. It only uses two stills, and is currently running at a fraction of its potential capacity in the hands of a tiny staff of three employees. Distilling is an ancient tradition, and even the modern industrialized distilleries have hundreds of years of history. It’s no surpise, then, that some distillery buildings are thought to be haunted. Glen Scotia, in particular, is famously haunted by the ghost of one former owner who drowned himself in Crosshill Loch, and currently walks the halls of the aged distillery buildings. ‘Spirit’, indeed. I’ve never tried this one but I’m a huge fan of all things Campbeltown. Maybe I’ll stick to Springbank. And Glengyle/Kilkerran, which is kind of just Springbank in a different building. Have you tried the recent bottlings of Kilkerran 12? Great stuff. I’ve also got a sample of the Cask Strength 8 Year Old I’m planning on reviewing soon. Do you think having a single sample is problematic? I wonder if a bit of time and air exposure would “open up” a full bottle of Glen Scotia 15. Ralfy rates this one 92/100. Yes, I do think single samples are problematic (or can be), but it’s the reality of this kind of blog. I just don’t have the budget to buy full bottles of everything I review, nor the time to do multiple tastings across time, as much as I’d like to. On the other hand, it can be argued that “first impressions” matter more. If two whiskies are equivalent in every way except that one has a better first impression, that should be the one I recommend. Many retail customers judge new whiskies by the first taste (at a bar, party, tasting, etc.) anyway. My blog is the same. I’d love to have the budgetary freedom to buy a bottle of everything I want to review, but I don’t. I always feel limited when I have a single sample to work with, and I’m very hesitant to add water to a sample if I’m enjoying it neat. I’ve had a wide experience with samples. Macallan 12 Double Cask comes to mind. The first one I tried was horribly sulphured, but the two other times I sampled it, it was fine. Unimpressive, but fine. Another great review! I tried a sample of GS 15 just last week, and ended up about as unimpressed as you. The nose reminded me a bit of Highland Park 12, but it was downhill from there for the reasons you’ve mentioned. 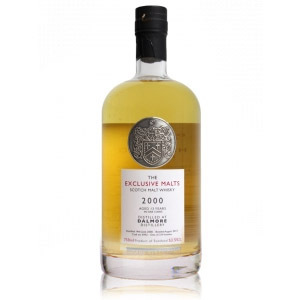 I’ll continue to equate Campbeltown with Springbank, and Glengyle on occasion when we get a rare bottle of Kilkerran in stock around here – which have all been excellent thus far. Cheers! I absolutely love Springbank 10 year and always wanted to try as many Campbeltown whiskies as I could. After reading your review, I think I’ll take your advice and stick to the Springbank. I recently finished a bottle of Kilkerran 12, which I commented on when you re-reviewed Springbank 10. While it’s a good, well made malt, I personally found it to be a little less complex than Springbank. If you love Springbank, by all means try it. You may feel differently than I do. As I write this I’m enjoying a dram (or two) of Springbank’s annual 12 year old cask strength release. I couldn’t recommend it more for a once a year splurge purchase. For what it’s worth, I’ve never gotten to like a whisky that I disliked the first time I tasted it. Keep up the good work. Springbank 12 Cask Strength is such a fantastic whisky! Glen Scotia is not an easy malt to understand, but as rightly pointed out by Ralfy – it is a great distillery (omitting the previous 12/18/21 range). My personal favorite is 12 yo bottled prior 2004 (the one with a boring label), but new 15 and Victoriana as well as older G&M 21 and 22 1992 are all have that mushroom / old warehouse profile that I really like. New 15 needs time in a glass and some oxygen in a bottle. You can either use aeration hardware or just leave an open bottle for a couple of weeks. Then Glen Scotia’s oily, mouth-coating silky mushroom character will shine. Agree that this is not a malt for everyone, but it is sure enjoyable in a long tasting session. Thanks for this comment – I’m glad there’s a way to redeem the GS 15. I would definitely try this if I had a full bottle, and will try to remember it if I ever come across a good deal on one. Cheers! 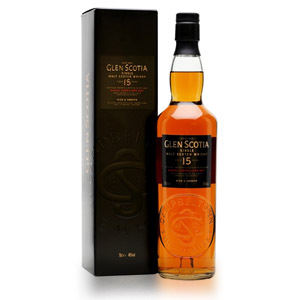 I was rather shocked & sorry to see you review Glen Scotia 15 as “Not Recommend”, not something you do too often, and not something I can say I agree with, respectfully. Since seeing this bottle positively reviewed on YouTube by several trusted reviewers (Ralfy.com, Whisky.com, The Single Malt Review) I’ve purchased & finished two bottles of GS15 and have a third waiting to be opened. 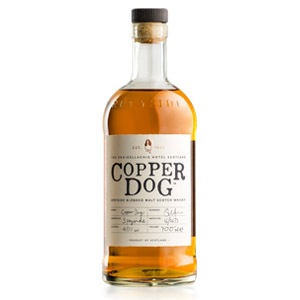 Admittedly, it’s not for everyone, it’s a bit rough around the edges and has that Campbeltown thing going on, but I really enjoy the stuff and have recommended it to some of my more adventurous friends. And $70 for an unusual 15 y.o. @ 46%, it’s not a bad value either imho. Maybe someday you’ll get a chance to try it again with different results, or maybe not. In any case, all the best, keep up the good work, I really enjoy your reviews. How Ralfy scored this bottle a 92 is incomprehensible. I have consumed half my bottle and keep waiting for it to ‘find itself’ but so far no such luck. Glen Scotia had a table at the Chicago Whisky Jewbilee last month and offered up a vertical line up consisting of: Double Cask, 15, 18 & Victoriana. The latter was by far the most appealing and the only one of the bunch I would consider buying. I do sometimes wonder about Ralfy’s motives. His recent anointment of GlenAllachie 12 as his 2018 Whisky of the Year was also an eyebrow raiser after he had previously ripped GlenAllachie 18, generously scoring that dram an 83 just a few months prior. When I tried the 12 I thought it was decent enough – comparable to Balvenie Doublewood -, but it was far from memorable. I guess I am surprised that most of you are generally disappointed with GS 15. I think it phenomenal and definitely preferable to Springbank 10. Presumably, your consensus negativity will result in a price drop making it more of a value for me. 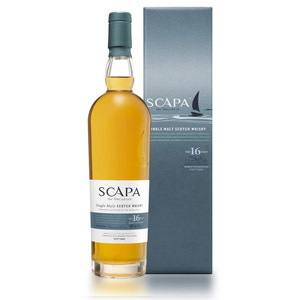 I have a bottle of Glen Scotia 15 and in my opnion, it is very good. Very very good. Jucy, full bodied, complex.